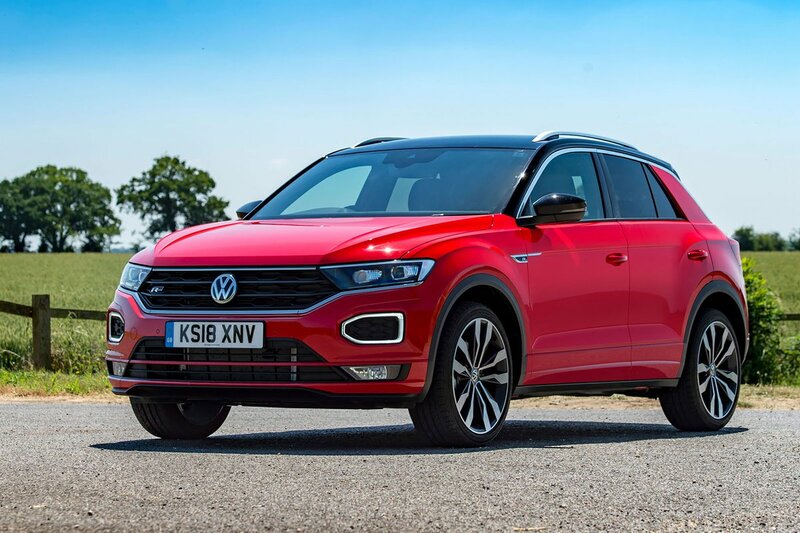 Volkswagen T-Roc Running Costs, MPG, Economy, Reliability, Safety | What Car? Frankly, you pay silly money for the top-end models, such as the 2.0-litre petrol with its standard automatic gearbox and four-wheel drive. We reckon there are much better options available in the family SUV category if you've got close to £30k to spend. However, the 1.0 and 1.5 petrol models are priced just below equivalent versions of the Audi Q2 and Mini Countryman and make rather more sense. Running costs for cheaper T-Rocs also look sensible. The 1.0-litre version averages around 45mpg in official (WLTP) tests and, while we have yet to put it through our own True MPG cycle, mid-40s should be achievable with some careful driving. 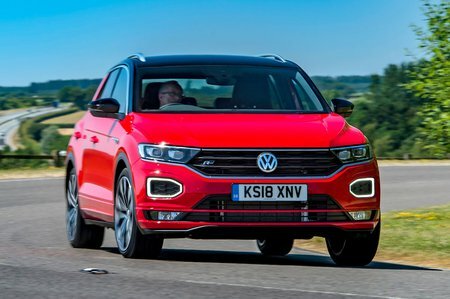 Volkswagen expects the T-Roc to be bought mostly by private buyers but, if you're considering one as a company car, the 1.0-litre petrol will be the most affordable option. However, its CO2 emissions are still higher than they are for the equivalent Seat Arona. Likewise, if you're buying on a PCP finance deal, expect to part with more money each month than if you'd opted for an equivalent Arona. The T-Roc will cost less per month than the Q2, though, thanks to strong resale values and the Q2’s higher list price. There are no shortage of trims to choose from, starting with entry-level S and rising through SE, Design and SEL before finishing up with the sportiest-looking R-Line. Equipment fitted as standard across the range includes dual-zone climate control, Bluetooth, a DAB radio and alloy wheels of at least 16in in diameter. SE trim is worth considering because it adds, among other things, adaptive cruise control and the front and rear parking sensors we mentioned earlier. However, we'd be tempted to go for Design; it's not a great deal pricier but brings a wider range of personalisation options and styling add-ons, including twin chrome-effect trapezoid-exhaust surrounds and contrasting roof and door mirror colours, as well as bumpers with silver-metallic underbody protection. The upper trims are too expensive to justify on a car in this class. The T-Roc is too new to have appeared in the latest What Car? reliability survey. However, the larger Tiguan, to which the T-Roc is mechanically related, was a solid mid-table finisher in the Family SUV class. As a brand, VW came equally mid-table, finishing 17th out of 31 manufacturers — that’s below Seat but above Audi. A three-year warranty, limited to 60,000 miles, comes as standard with every VW. That’s typical of many car makers but not as generous as Hyundai’s five-year, unlimited-mileage warranty or Kia’s seven-year, 100,000-mile package. Euro NCAP awarded the T-Roc five stars (out of five) for safety. A more in-depth look at the results shows that the car is better at protecting adult occupants, child occupants and pedestrians than the Q2 and Arona. As a bonus, all T-Rocs have an automatic emergency braking system that can detect pedestrians as well as other cars. 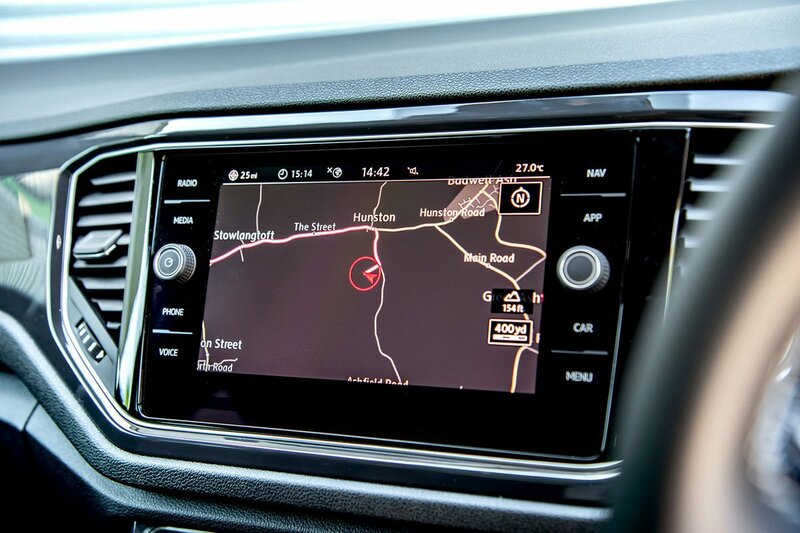 Other driver aids are standard, too, including one that warns you if you start to drift out of your lane and, on Design trim upwards, another that alerts you to driver fatigue and advises when to take a break. Blindspot monitoring is a reasonably priced option that comes with rear cross traffic alert; this sounds an alert if you’re about to reverse into the path of another car.